The Florida tax process can be harrowing, to say the least. Sometimes after the audit is complete, you just pay what you owe and move forward. However, there are times that you may not be satisfied when the audit is over. 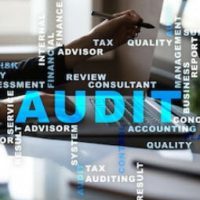 The auditor may be attempting to pressure you into paying immediately, or you may be struggling because you can’t afford to pay the tax debt or you believe you don’t really owe the money. To pay the debt you may have to use your business, home, or other assets that you have worked hard to acquire. That’s why it is important to understand that you can challenge many tax audit results. You may have to do something as simple as providing documents that were missed, or it may require a consultation with a Florida tax attorney. As soon as the audit is complete, the auditor will tell you whether your tax liabilities have changed based on the results of their audit. In most cases, the amount they report will be higher than the taxes that are due in the end. However, the documents that the auditor will give you will provide a detailed account of what the auditor believes is subject to taxation. If you understand the document they give you, you will be more equipped to challenge it. Another important thing to keep in mind is no to sign any paperwork that agrees to immediate changes. If you sing the document, that means you agree with the audit results and agree to pay the taxes the auditor believes you owe. Don’t ever sign it without consulting with a Florida tax attorney. After the audit has been completed, the last step is the completion of the final assessment. This will give you approximately 60 days to challenge the auditor’s assessment through an administrative protest. If you opt to make an offer to try and settle any tax liabilities, you can do this by speaking with the Florida Department of Revenue. However, it is never a good idea to attempt to handle such negotiations on your own. Although you may believe that the strategies and approaches you have will work, they may not be successful at all, and could even put you at even more of a disadvantage than what you already are. You need a seasoned Florida tax attorney to help you that has already successfully negotiated similar tax settlements with the Florida Department of Revenue. Attorney David Toback has years of experience helping clients negotiate through the complex process of audits and tax settlements and he can help you too. He will be able to negotiate any possible fines and penalties that you could be facing and depending on your situation, may be able to help you file a challenge with the Florida civil court if you still believe that the assessment made by the auditor isn’t fair. Contact his office today to schedule a consultation and let him help you ensure that your rights are protected.